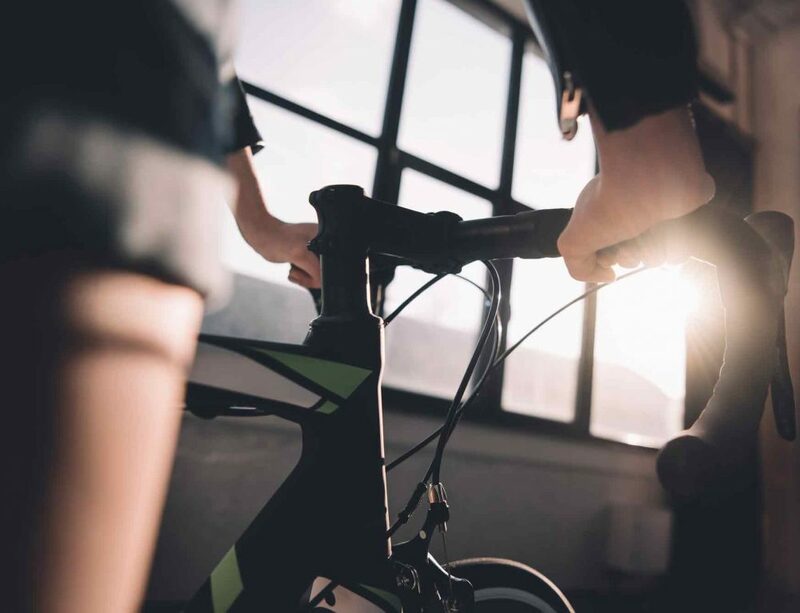 Whether you are brand new to the world of bikes, or you’ve been biking since you can remember, a single-speed bike may seem like a weird trend that only extreme enthusiasts would be interested in. But the truth is that single speed bikes, also called fixed gear bikes, or “fixies”, offer a really cool experience for anyone who loves to ride. Fixed gear bikes were used in the original Tour de France, and are likely what you started with as a child. If you want to enjoy the most simplified form of biking, this trend is one to try. 1 What is a Fixie? 2 Why Buy a Fixie? A fixed-gear bike is one in which the cog is controlled only by the motion of the pedals. In all other bikes, there is a ball bearing system that allows the wheel and cog to spin independently, which allows you to change the speed of the bike by controlling the ball bearing system with your handlebars. On a single-speed bike, however fast you pedal is how fast the bike goes. Your pedaling directly causes the wheel to spin. Fixed gear bikes can also be ridden backward because if you pedal backward, the wheel will rotate backward. Now that you know what a fixie is, why would you want to own one? The biggest reason for having a single-speed bike is in the simplicity of the build. The bike will be easier to use, easier to repair, and much lighter to ride. 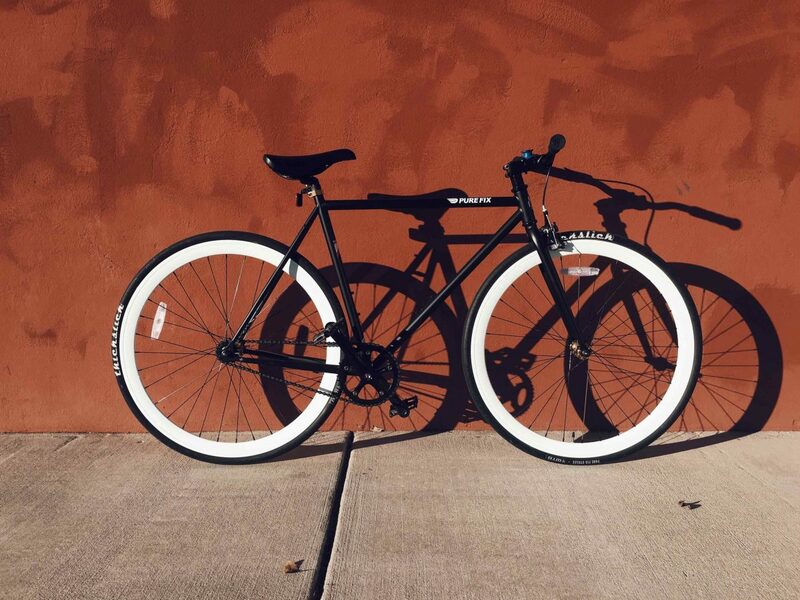 Because of the lightweight build and ease of riding, many people also find the fixie to be easier to maneuver. Fixies also allow you to choose your braking method. You can engage the freewheel for the standard braking method, or remove the brakes and simply resist on the pedals or skid-stop to brake. It is entirely up to you how you want to ride, something that biking enthusiasts will appreciate about these highly customizable bikes. 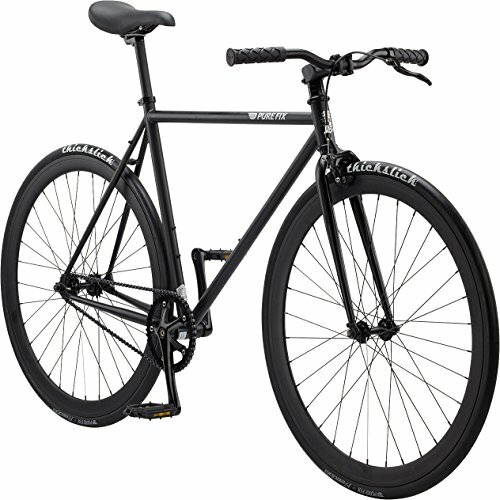 Fixed gear bikes are usually for commuting rather than racing, although you can find hybrid fixies that work for both. As a commuter bicycle, a fixed gear bike is often valued because it requires very little maintenance and cleaning. It’s also ideal for winter riding because you can more easily moderate your speed in the moment. Another great reason to buy a fixie? They are cheap! These bikes are simple, and that translates into lower costs for the rider. If you are just looking for a solid commuter bike, a single-speed will save you a lot of money. Choosing a fixed-gear bike is all about knowing what you want. Although these seem like a good bike for beginners from the outside, you’ll want to do some research before diving right in. The first thing to consider with a fixie is the components. 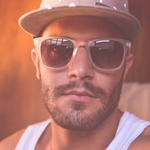 Consider whether you want a heavier frame for more durability, such as steel, or a more lightweight frame for more comfort, such as aluminum. You should also consider the comfort and durability of components like the saddle and the handlebars. Another thing to consider is what you’ll be doing with your fixie. If you just intend to ride it to work on a paved road or trail, you have many options. 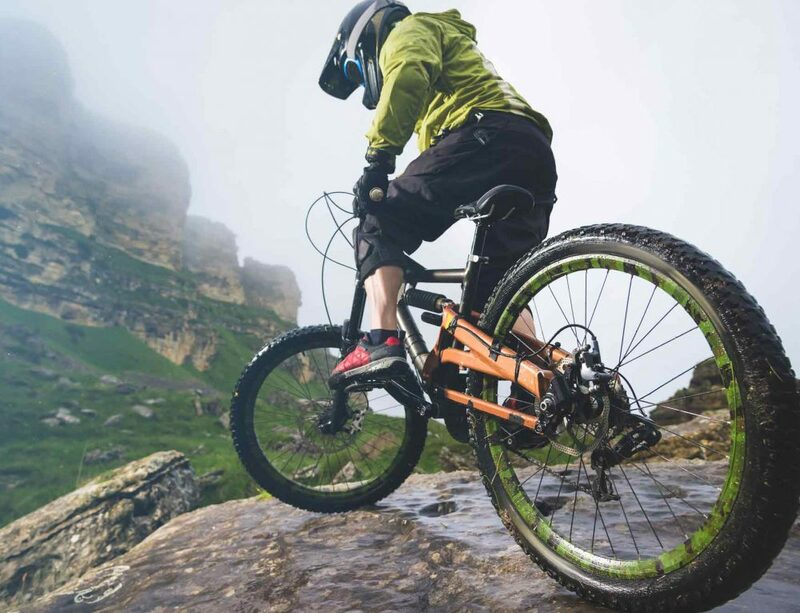 But if you want to race a fixie, or do some off-roading and trail riding with a single-speed, you’ll need beefier tires and should possibly consider a hybrid bicycle instead. 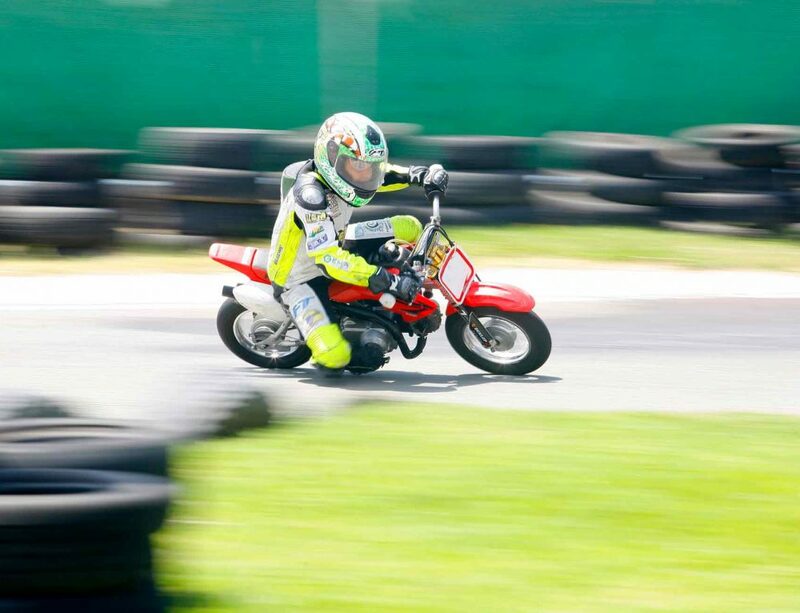 Be sure that the size of the bike suits your size. For most riders who are comfortable on a regular road bike, you’ll want to go down one size on a fixie to give you better control. Finally, don’t forget the price when choosing your fixed-gear bike. This can make a big difference in the component materials or style you choose. With all those considerations in mind, we rated the top 10 single-speed bikes on the market today. These are our favorites for riders of all skill levels, and any would make a great fixie for someone interested in trying out this trend. All of these bikes fall between $100 and $900, so rather than rate their price range, we’ve included noes on which bikes are affordable in the reviews below. Fixies fall in a variety of price ranges, but all tend to be much more affordable than other road bikes. 6KU bikes are quickly becoming a great option for anyone who wants to get into single-speeds without a huge commitment. These bikes are made with lightweight components, including aluminum frames, that make them easy for new riders and very stylish. This is the only aluminum bike on our list, but the bike’s head-turning style and high-quality components otherwise make it neck and neck with some of the more durable bikes on our list. 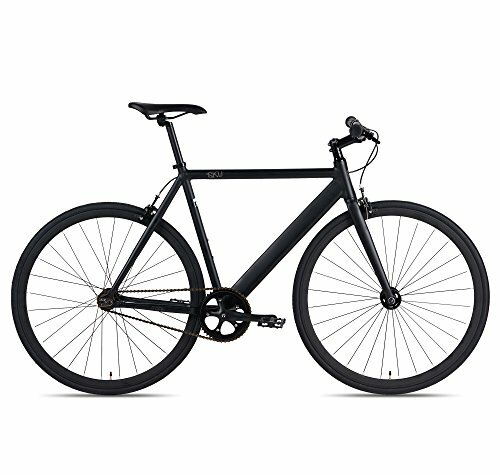 The biggest draw for the 6KU Urban fixie is the brake system. It features a very responsive system that isn’t common on entry-level single-speeds, and the lean response is phenomenal. The only drawbacks are the saddle and the peddles, both of which could be of higher quality. We’d recommend switching these out with better parts before long, but that one fix could easily make the 6KU a great fixed gear bike for riders of all skill levels. If you love the idea of a fixie, but aren’t a fan of the almost child-like styling of many of them, Critical Cycles’ Harper is the bike for you. 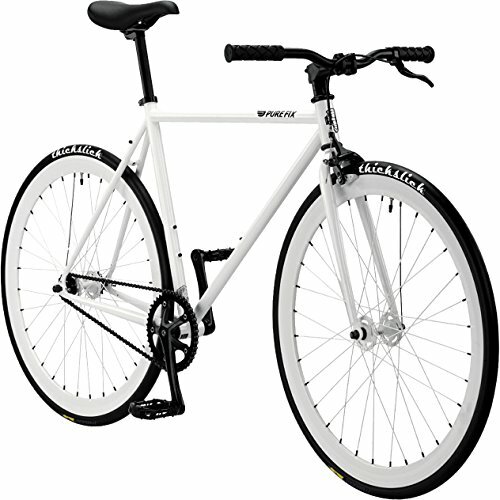 This fixed-gear bicycle has a sleeker look, with a sophisticated color palette and silhouette. It is designed mostly for the beginner rider, but that doesn’t mean it can’t also work for an advanced rider. But for beginners, the components on this bike are ideal; it offers the easiest type of braking system, reliable construction, and a very smooth ride to keep you comfortable. Unfortunately, Critical Cycles missed the mark with this bike when it comes to the tires. They do tend to wear out faster than other bikes we reviewed, so you’ll be replacing them sooner. But all the other components are of great quality, and you can’t beat this bike for comfort and style. It’s worth changing out what components you don’t like for your preference in order to get the Harper frame. The Pure Cycles Original is a dependable line of bikes with slick design and mid-range components. Their main draw is that they offer just enough customization for advanced riders to enjoy tinkering, but simple enough design for beginners to be happy with this bike as well. The bike is made for urban riding, with a very nimble body and smooth riding capability. This bike also has a flip-flop hub, but the rear threading can be a bit tight. 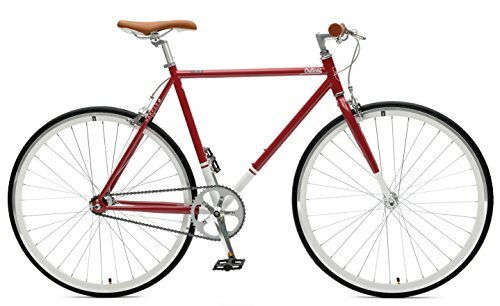 Pure Cycles offers several colors to choose from, and the stylish design is just a bit more rugged than most fixies out there. Overall, this is a solid choice for intermediate to advanced riders who want a bike that is dependable for city commuting and paved trail riding. As one of the most affordable bikes on the market, the Critical Cycles line of Classic fixies is ideal for beginners and hobbyists who just want to try these bikes out. These are urban street bikes, designed for comfort and steady riding. These are not the fanciest bikes on the market, but they do perform very well for being pretty basic. They are laid-back bikes meant for budget riders, but the Pursuit Bullhorn Bars do add some nice style to the otherwise plain look. This bike does have a flip-flop rear hub to give you options, but only one brake as opposed to the front and rear system that most hybrid fixed-gear bikes boast. The Critical Cycles’ bikes come in a variety of colors, and while the crankset and other mechanics are basic, they are still of good quality. 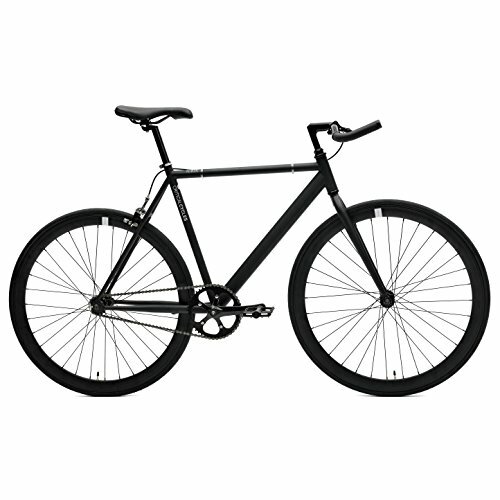 If you want to save money and still try out a fixie, this is the bike to choose. The Golden Cycles Fixie is another hybrid bicycle, with a flip-flop hub that allows you to shift from a traditional fixed gear ride to a single-speed freewheel. This means that you can take this bike anywhere, from city streets to off-road trails. The components make for a smooth, comfortable ride for commuters, but this bike has enough meat on its bones to go uphill or through some rougher terrain. It’s also easy to customize and personalize for your specific riding needs. While this bike looks really cool with the deep V rims and the color combinations available, it does lack some of the durability of other bikes on our list. Upgrading fixies are easy, but that will add to the overall cost of this bike. It’s the perfect solution for a rider that wants to try a single-speed but doesn’t want to have to cart around tons of bikes to go wherever their mood may take them. As another hybrid bike on our list, the Vilano is an excellent choice if you want stability and a smooth ride above all else. That does mean giving up a bit in the way of durability, but not enough to knock this bike out of our top 10. The Vilano includes a flip-flop hub for switching between fixed-gear and single-speed mode, and it also comes in tons of colors so you can choose the bike that suits you best. It’s an easy ride, with smooth acceleration, stable cruising, and a very smooth braking system that impressed us. 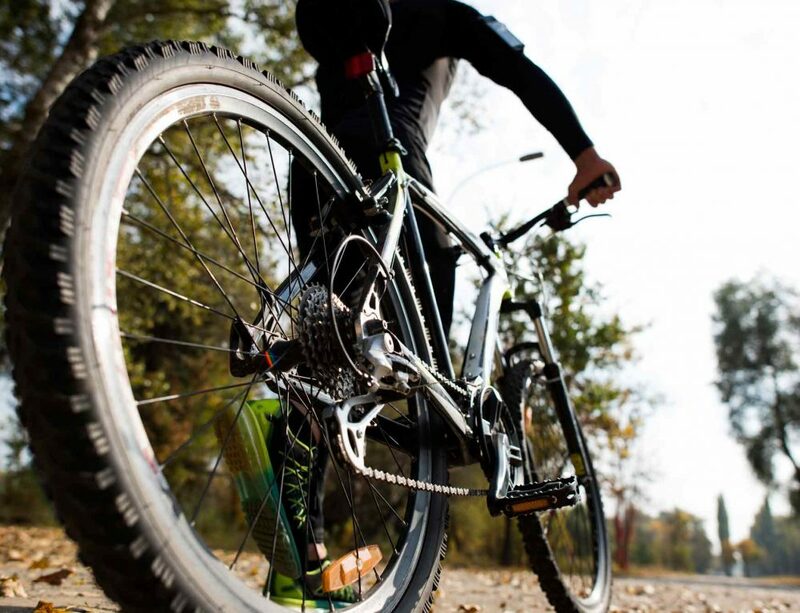 The flip-flop hub means you can take this bike on many different kinds of trails. The tires aren’t of the best quality, and this bike doesn’t come with lubed chains which could be a big safety hazard for beginner riders who don’t know to pay attention to that right away. Be sure you give the chains some love before you hit the road, and be aware that you’ll need to replace the wheels pretty quickly compared to other models. If you’re looking for a bicycle that combines high-quality components with great style, the Retrospec Mantra is our top choice. It’s a great compromise between good looks and solid construction, and the lightweight frame maintains durability without sacrificing maneuverability – something that many fixies lose in exchange for better quality. This bike also combines just enough classic style with a modern appeal so that it works for all riders. The only downside is that this bike only has a rear brake, but it does have the flip-flop hub along with sealed cartridge bearings on both wheels. The bike has stylish accessories on the pedals and riser bars, but it doesn’t go too far into the realm of BMX styling to lose the fans of classic fixies. This may be one of the pricier options on our list, but it’s worth it for fixie enthusiasts. It also comes in plenty of colors so you can choose which style suits you best. 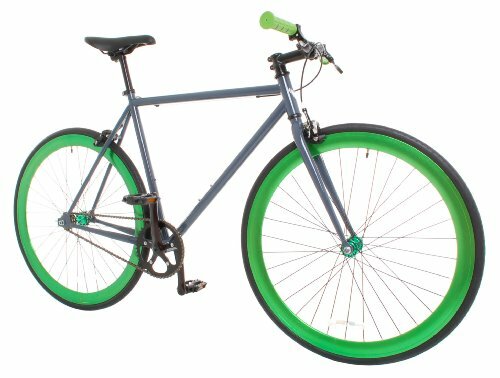 Overall, this bike is ideal for the committed fixie fan who wants to commute or ride on paved trails. This bike is another variation on Critical Cycles’ affordable Classic fixies. Great for beginners who want to save a buck but still get quality components, this model features Pista Drop Bars for riders who prefer these. 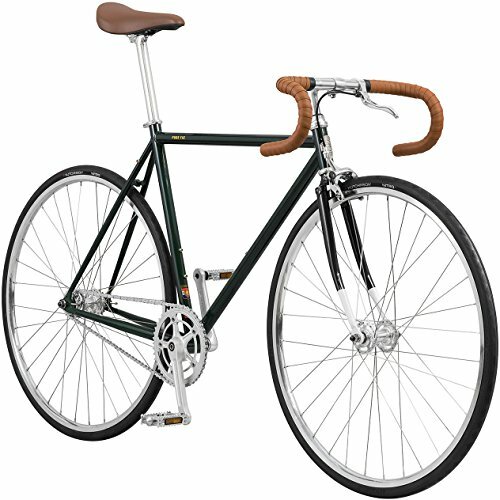 Like the other Classic fixies by Critical Cycles, this bike is designed for comfortable, smooth city riding. 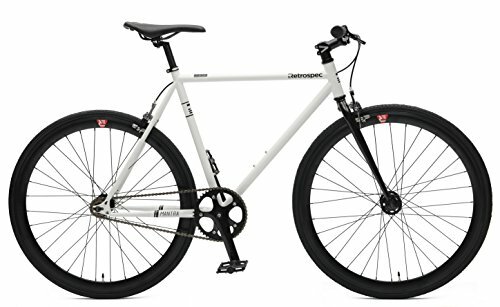 These may not be the most stylish or most interesting bike out there, but they do make a fantastic introduction to fixed-gear riding if you don’t want to sink a lot of money into a more advanced model right away. These bikes have the flip-flop rear hub so you can switch between fixed gear and single-speed riding, but they lack a front brake that makes other bikes a bit more flexible for off-road riding. You can choose from a wide range of colors to suit your tastes, but the real draw here is the affordability. You may not find anything above basic on this bike, but it’s still of good quality and value. 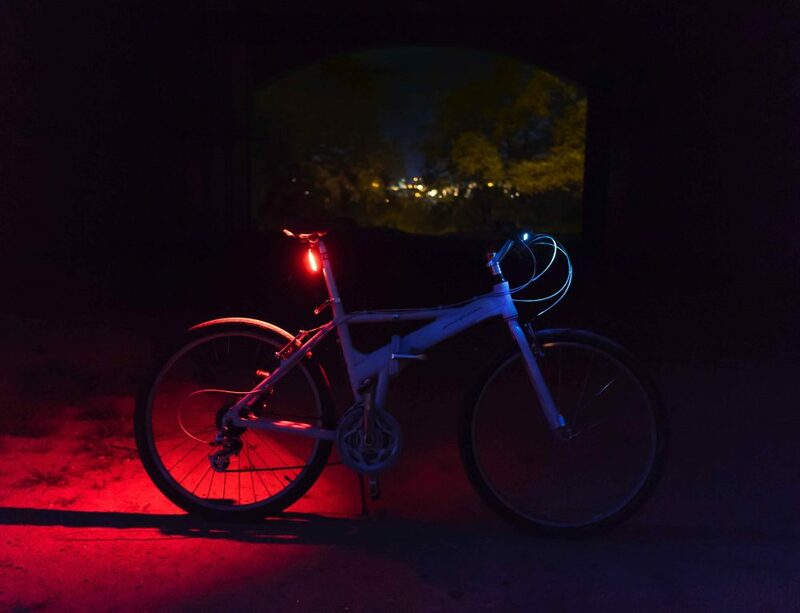 A glow-in-the-dark bicycle may seem silly, but don’t let the gimmick fool you. This bike is loaded with brand-name components that actually make it a fantastic choice for enthusiasts. It features Presta valves, a Zoom seat post, Oury grips, KMC chain, Neco stem, and more. All that adds up to what is a very high-quality bike without any nonsense. It’s easy and straightforward for beginners, but experienced riders will appreciate the great parts. And the glow-in-the-dark component is pretty cool as well. It’s a solar-activated paint job that adds crucial safety for night riding. To us, this bike doesn’t have any downsides at all. 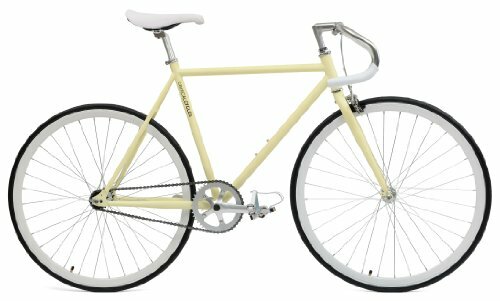 If you’re serious about style, you may not be a fan of the non-activated paint job during the day, but otherwise, this is a top-of-the-line model that offers a very strategic safety feature, unlike many other fixies out there. We’d suggest this bike to parents of teens that want to try out a single-speed, as well as any commuter who has to ride after dark frequently. The Pure Fix line is a go-to brand for beginners who want an affordable fixie that still offers quality components. The Premium is made of a chromoly steel, a much higher quality metal than most steel fixies offer, and it maintains the very sleek, grown-up style of the entire Pure Fix line that attracts a lot of commuters. These are urban bikes built for city riding, with very nimble maneuvering, and no-nonsense handling. It’s an ideal bike for someone who is interested in fixed-gear bikes for commuting but isn’t interested in diving deep into the world of the single-gear style. It offers all the best features of the single-gear bike, without most of the finicky quality issues that make many fixies less desirable. And Pure Fix manages all this without breaking the bank. This bike also has a flip-flop hub and quality tires that are slightly better than many of the other options on this list. The biggest issue with this bike is that the rear hub threading is only okay. This bicycle is easy to customize, and if what you want is the most durability for your dollar, it would be hard to beat this option. There is a growing market for single speed bikes that keeps getting bigger, bringing this bike firmly out of the realm of niche rides. There are some bigger name brands in the biking world hopping on board as well, which means the future of fixies is likely to be improving all the time. But as of right now, the best of the bunch offer plenty of fantastic features. Fixies may still be on the rise, but we do know that there are some things to avoid with these bikes. While you can compromise for decent components over great components to save money, it’s not a good plan to compromise for poor quality parts. Fixed gear bikes are simple, but the mechanics need to be of good quality to ensure a good ride. 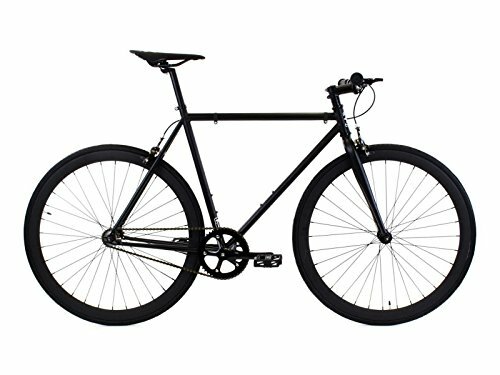 If you’re interested in a unique riding experience that lets you relive some of the earliest glory days of biking history, trying out a fixed-gear bike is a must. Don’t skip out on this very cool way to ride that many bike lovers miss!